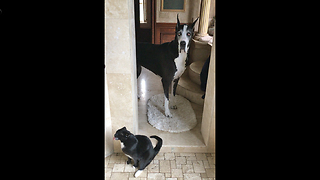 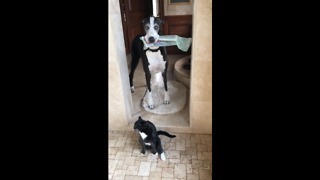 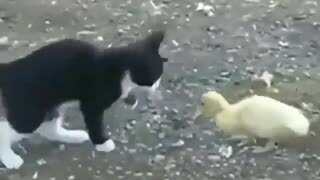 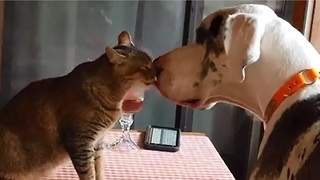 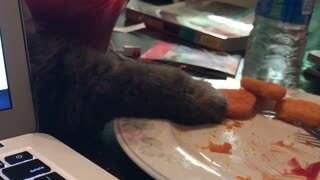 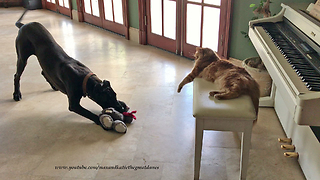 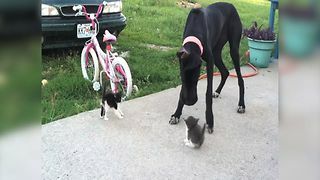 Rumble / Funny & Cute Animals - Ellie the Great Dane loves to play with her friend Jack the cat. 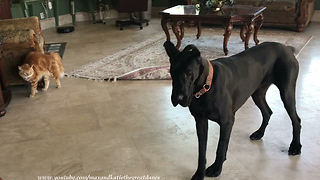 Watch and laugh as Ellie gets impatient and stamps her feet at Jack, trying to encourage him to play with her. 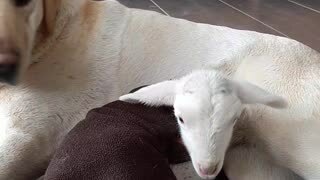 Ellie&apos;s constant bouncing and Jack&apos;s casual reaction is so hilarious!